Silver Star Montréal | 2019 smart fortwo: No compromise on safety. Home > Headlines > News > 2019 smart fortwo: No compromise on safety. 2019 smart fortwo: No compromise on safety. The 2019 smart fortwo is a truly unique car. It's smaller than any other car you'll see on the road, but that doesn’t mean it's less fun to drive, less useful or less safe. Yes, the 2019 smart fortwo is as safe as other cars, even more so in some cases as its compact dimensions can offer a distinct advantage. With the 2019 smart fortwo, you'll never feel like you're compromising. The small urban car stands out by offering its owners a unique structure, several airbags, traction and stability control, and much more. With the 2019 smart fortwo, you can hit the road with confidence. A car that protects you. 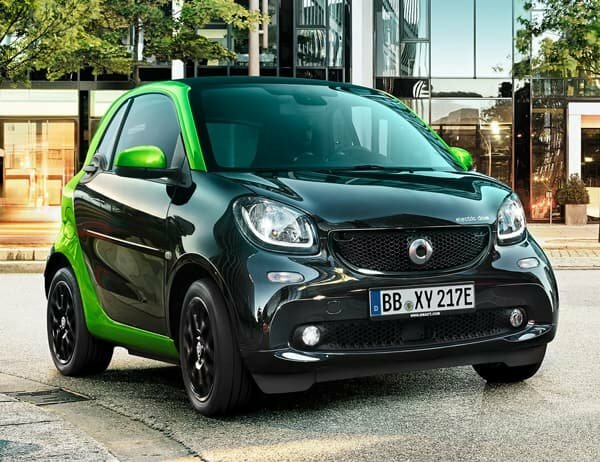 The 2019 smart fortwo offers its buyers impressive safety starting with its Tridion structure. If you are wondering what the Tridion structure is, just look at the car. The structure is visible from the outside and surrounds the entire Fortwo. Composed of high-strength steel, this structure is able to absorb the forces of an impact and move them away from the occupants. This rigidity also ensures impressive handling that makes it possible to confidently avoid obstacles in front of you. In addition to the Tridion structure, you also enjoy several airbags that protect your knees, head, pelvis, and chest in addition to the front airbags. Needless to say, if you ever have an accident, you'll be well protected. Finally, the smart fortwo offers a collision avoidance system that sends an audible signal when it detects a possible collision.